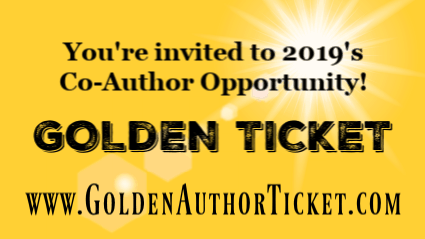 Golden Author Ticket - Brilliant Breakthroughs, Inc. Your invitation to an becoming an undeniable expert! You hold a Golden Author Ticket! What is the Golden Author Ticket about? You have been invited to boost YOUR Business’s Visibility be becoming a Contributing Author is our next book: Brilliant Breakthroughs for the Small Business Owner: Fresh Perspectives of Profitability, People, Productivity, and Finding Peace in Your Business (2019 or Vol. 3). What does this mean for You and Your Business’s Visibility? You serve Small Businesses and have a message that could benefit Small Business Owners and their businesses. We are currently selecting potential Contributing Authors (an author who writes one chapter of 2500 words maximum) for our 2019 edition to be released on November 13, 2019, which coincides with National Entrepreneurs Month. NOTE: This is a fully comprehensive video invitation.My intention is to assure you will know enough about our project and community to discern if you’d like to discuss this further or take a pass. Time is of the essence as we need to start authoring training to meet our deadlines for this year’s publication. If you want to know more, please email or call me directly. I will promptly respond to you. Maggie Mongan, Master Business Coach & Small Business Trainer, & CEO of Brilliant Breakthroughs, Inc.